Masonry style layouts are getting more and more common, and the reason is because they can handle a lot of content and still seem to save space. Masonry theme is the best example to show how responsive themes adjusts on mobile screens and because masonry WordPress themes are not just the attractive the ones, most of them are fluid responsive i.e. 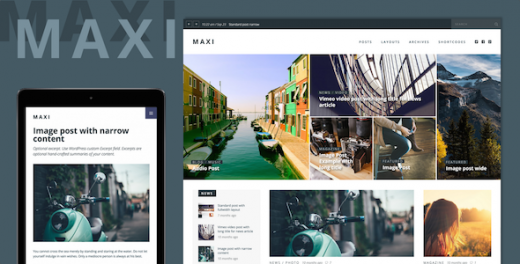 In this post, we have selected some of the fantastic masonry layout WordPress themes 2015. 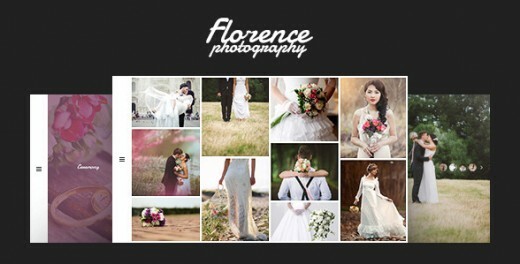 These themes were built using the jQuery Masonry layout library to display content in a Pinterest style format. All of these themes have masonry style layouts, and they include cool features like responsive designs, threaded comments, infinite scrolling, Google Fonts support, and more. The new features like auto or lazy load made it easy for users without having to load a new page. Don’t forget to give your most welcomed feedback to improve quality of our blog. Related articles you will definitely find worth checking out: Free WordPress Widgets for Voting, Free Photo Slider WordPress Plugins, Premium HTML5 Website Templates and Premium Shopping Themes for WordPress. Himalayan modern portfolio WordPress theme is a simple and new portfolio concept perfect for agencies, studios, designers to highlight all of your work. This template is highly Flexible, Customizable & fully Responsive using the latest WordPress, and css animations. 5 homepage styles, 8 portfolio pages and a lot of little quirks in the pages it makes it perfect for studios to stand out from the crowd. 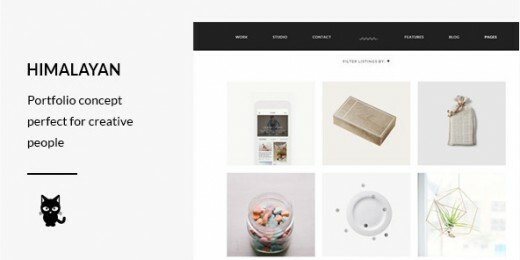 Zebre is a Minimal portfolio WordPress theme which is designed subtle and prevailing. 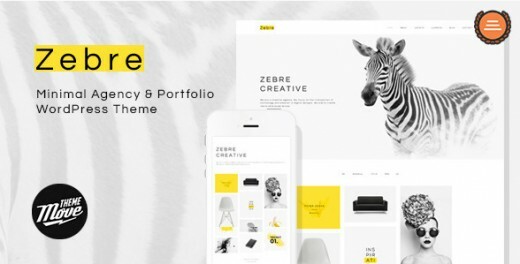 If you are a creative Designer, Developer, Freelancer or Agency, Zebre must satisfy the several standards of your demands. Needless to say Zebre makes your portfolio more professional. Blazing fast loading speed, One-click sample data, Live Customizer, Unlimited colors, Responsive & Retina, 600+ Google fonts, WPML supported, Font Awesome icons, Bootstrap 3.x based, Smooth CSS3 animation and parallax sections and more. 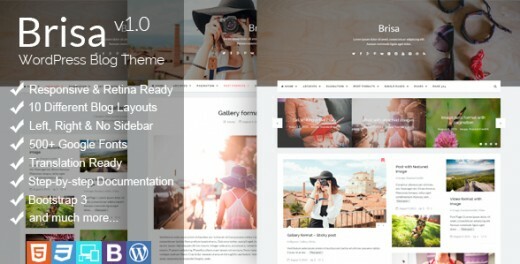 Brisa is a simple, clean and modern WordPress theme for your Blog. It comes with 6 custom widgets (Popular posts, Random posts, Recent posts, Social links, Thumbnails gallery and Slider with posts), 7 widgetized areas, 5 post formats (standard, image, gallery, video and audio), 10 Blog page layouts and tons of theme options. It is developed on the Bootstrap 3 framework amazing and beautiful HTML, CSS, and JS framework. It means that Brisa will look great on any device be it a 17” laptop screen or an iPad, iPhone. 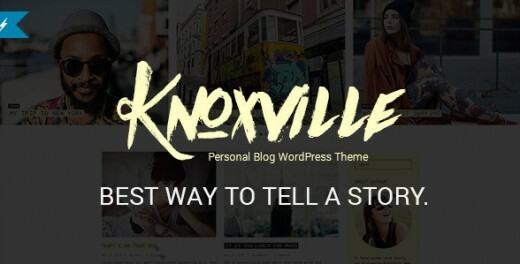 Knoxville is a new and easy way to tell the story. The story about your life, its great moments, emotions and feelings. Its a great solution which allows you to have an awesome personal blog. It comes with great variety of features. That’s what you really needed to have. Retina Ready, HTML5 & CSS Code, High Speed & Extra Optimized, Coded with SEO in Mind, One Click Demo Import, Translation Ready (.po .mo files), Google Font Support 600+, Awesome Slick Slider, Contact Form 7 Support, Mailchimp Support, Instagram Slider Widget, PSD Files Included and more. 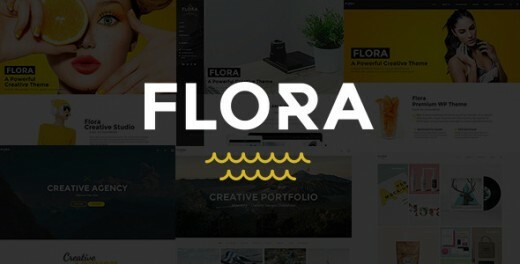 Flora is high performance WordPress theme with Hardware-Accelerated CSS, comes with a smart theme options so you can easily customize every aspect of your site with just a few clicks. Easily create responsive pages and posts with the most popular Drag & Drop Page Builder, Visual Composer. You can build any page layout without coding! Choose from our predefined colors or choose your own color schemes. Choose from 6 transition effects and 5 loader animations. This feature can easily be turned on or off in the theme options panel. Horizon is a creative, stylish and modern multipurpose portfolio WordPress theme crafted mainly keeping in mind the requirement of photographers, models, stylists, artists and digital studios. It comes with a bunch of unique home page designs, modern header styles, masonry/classic portfolio designs, masonry/classic blog layouts and eye-catching elements which will make your website stand out of the crowd. Horizon comes with six unique and creative homepage designs. These pages are designed using Visual Composer keeping in mind the needs of creative artists. It’s all bout details & lightness in beautiful Clementina. 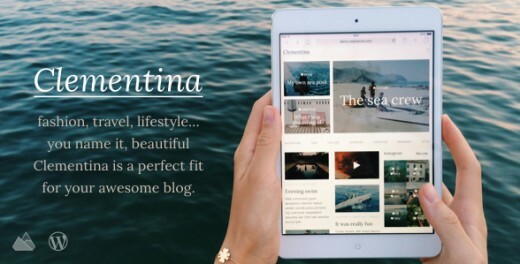 It’s perfect for fashion, travel and/or lifestyle blog. It was designed with a minimalist approach, bringing your content to the front. It offers bricks featured area, sticky posts carousel, social share buttons with counters, custom Instagram widget, custom recent posts widget, rich sidebar options, ajax posts loading, masonry blog layout, post formats and many more. 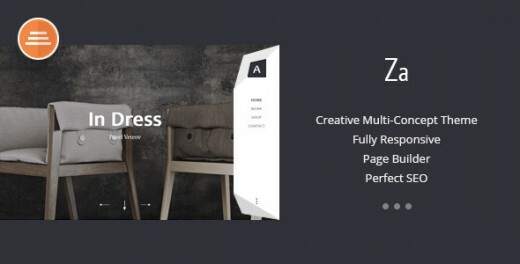 ZA is a creative responsive WordPress portfolio theme for the professional creative. It’s easy to use and concentrates on showcasing your work to potential clients and employers with interesting interactions. The self-developed Page Builder makes it very intuitive to build your unique posts and pages. We do much CSS3 / JS coding works to make the interaction more smooth and polished, for all the details, for the perfect user experience.